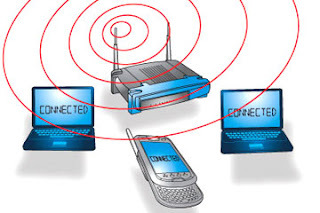 Window 7 and 8 users can set up their own WiFi Network without using a Router,Using this they can share their internet connection to other computers, smartphones and mobiles.This will benefit you if you have smart phone or other computer in home/office and want to share Internet connection. This works only on window 7 and window 8. So you have to up grade your window if you using old version of a window,There must be an active internet connection which you want to share over WiFi to other computers or smart phones. Now a days computer's have built in enabled WiFi capabilities. If your computer is not so old then it must also have WiFi enabled but if your computer is old then you have to buy a USB Network card to share internet with others. If you complete all the requirements in starting two steps then install a Utility software called Virtual Router which is free to use. Download it and install it. After installation Run virtual Router. Now First time chose your network name and set password after that Start Virtual Router and now this network is available for other computers to connect, Now they can use your Internet connection .